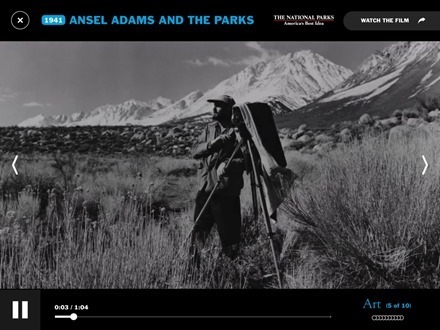 This week’s pick is Ken Burns, the app named after the man and offering users a chance to ‘see America through the eyes of award-winning documentary filmmaker Ken Burns’. 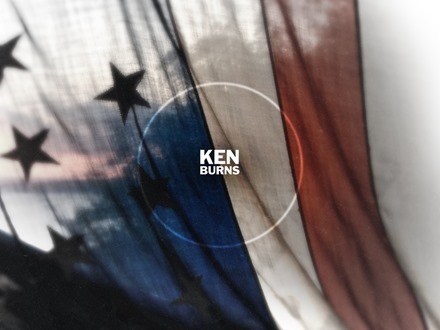 I should admit that before this week I had no idea who Ken Burns was. If pressed I could probably claim some awareness of the ‘Ken Burns Effect’ in photography, but that’s about it. 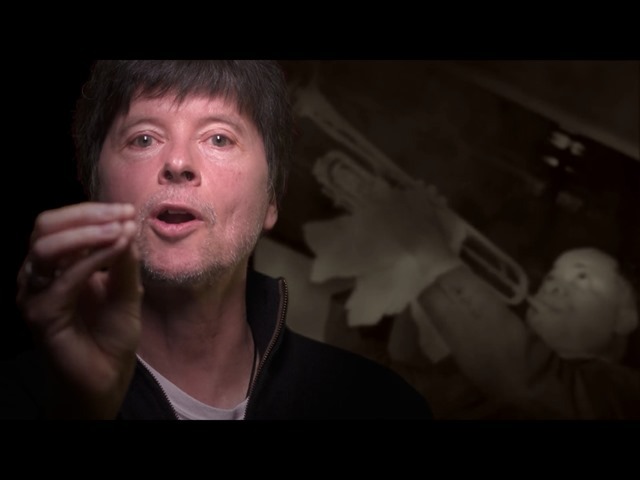 After using this excellent app for just a few days, I’m now a huge Ken Burns fan and soon to be an avid viewer of his documentaries. 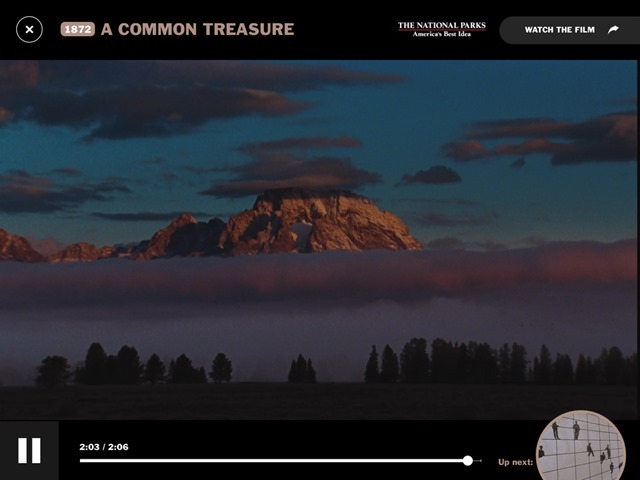 The app lets you browse its content in various ways – with timeline, theme, and film views. 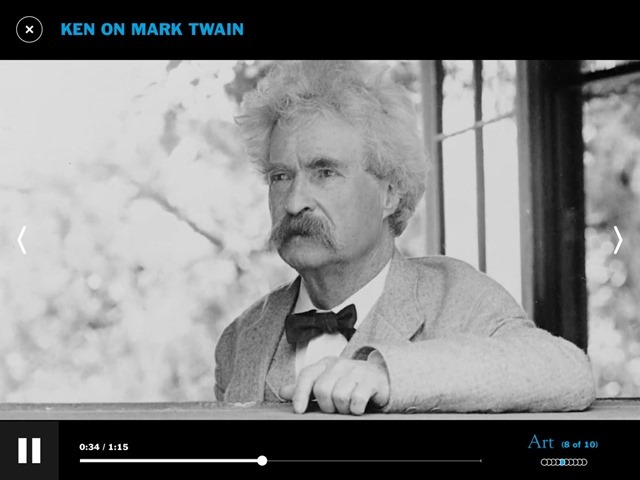 So you can move through American history chronologically, dive into clips from your favorite Burns’ films, or explore themes of interest. 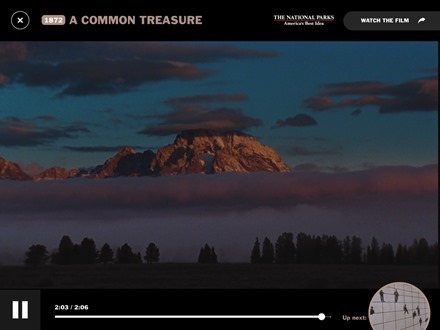 Clips are grouped into playlists, with a new video starting automatically as the previous one ends. You can also use a single tap to move to the next or previous clip from within any clip. My one bone to pick with the app is that it doesn’t remember your place when you switch away from it and return to it. The list of themes includes Art, Innovation, Race, War, Politics, and more. — ‘Steel Poetry’ which celebrates the incredible engineering feat that is the Brooklyn Bridge. 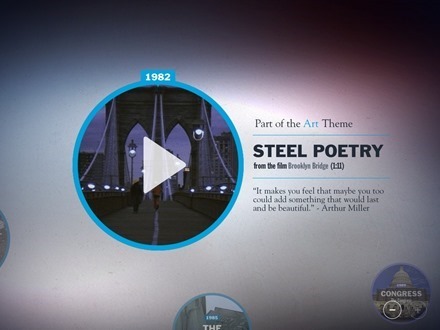 This includes the author Arthur Miller hailing the bridge as a source of inspiration. — ‘The Promise’ which is all about what the Statue of Liberty promises. 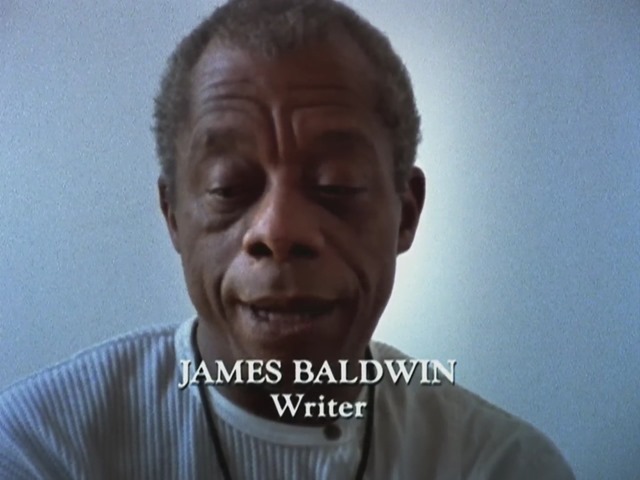 One of the most powerful segments in this one features the author James Baldwin talking about what liberty means and describing the statue as ‘a very bitter joke’ for black Americans. 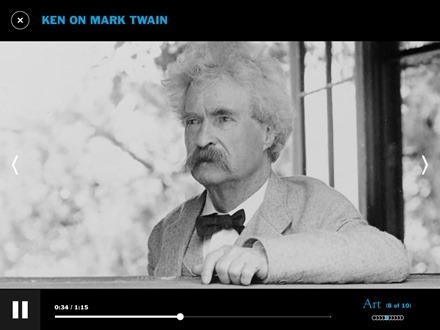 One of the great things about this app is it’s nothing like dry, fact-filled documentaries on US history. Every clip and every section is full of unique and powerful stories, offering wonderful new insights on many of the topics. He’s taking a familiar song like Dinah and he is rearranging its molecules. He is doing to it what Enstein said we could do to the atom. He said that the difference between the right word and almost the right word is the difference between lightning and the lightning bug. And this guy threw bolts of lightning his entire life. 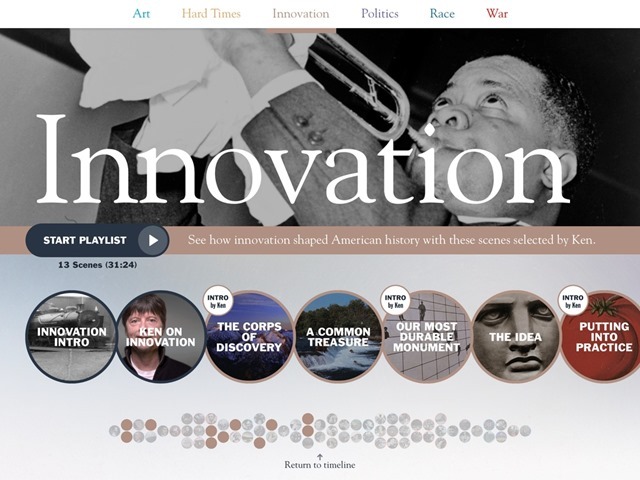 The app comes with one playlist, on the theme of Innovation, included for free. To see the rest of the content – with over 3 hours of video – you need to make a $9.99 In-App purchase. Here’s an App Store link for Ken Burns; it’s a free app with In-App purchase to unlock all the content as mentioned above.